If you’ve ended up reading this post, you probably already know what an Instagram audit is. However, do you really? Let’s make it clear — an Instagram audit is a sort of inspection on your personal or business account, where the main goal is to find out whether there are any mistakes in it or if there is a chance for you to improve your profile. The following step is to understand which mistakes you can avoid in order to grow your social media reach and make your profile interesting enough for anyone to feel like scrolling down even further. Auditing your Instagram is a perfect opportunity to ensure that your personal or business account is aligned with your goals and that you are putting all the effort in the right place. 1 — Define your strategy. 2 — Voice and Branding: Consistency is key! Whether you are an influencer or a business, do you really know what your goals are? - Why do you want to create an Instagram account? - Who do you want to talk/reach to? - Where are you going to focus your activities? - What will you talk about? - How are you going to build your account? - When are you going to post/to start your account? 2 — VOICE & BRANDING: CONSISTENCY IS KEY! After having reviewed your Instagram goal and KPIs you are free to start reviewing your voice and branding. Have in mind that your Instagram should sound, look, and feel like every other social media channel that you work with. A potential follower should be able to take a look at your Instagram profile and immediately understand what you have to offer them. From handle to bio, each touch point must be focused on you are trying to sell. · Your Instagram name should be consistent with your name or your business’ name across other social channels. Your followers on Instagram know you by one name, and they are very likely to search for you in other social media channels, such as Facebook, Twitter, or YouTube depending on your type of blog. If you are consistent across all these channels, your discoverability will boost — so do not lose out on potential followers because of a simple, but still significant detail. 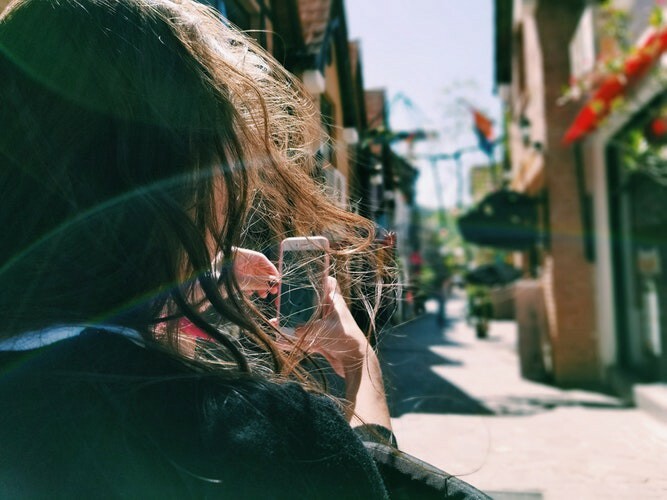 If you’re still considering using different names, at least ask yourself the following question: is your Instagram account easily discoverable and connected to your brand? If so, then take a leap of faith. Your Instagram bio should capture the attention of your audience. Ø Does your bio explain precisely what your account is about? Ø Is your bio accurate and does it spread the same feeling across all social media channels? Think about words that better describe what your Instagram is about. Are they clear when someone takes a peek at your profile? It might look difficult to come up with a good bio, but do not forget that as most things around social media, it is important to keep it simple. Brainstorm some ideas and maybe ask a friend or someone who works with your brand to share their thoughts. Finally, review the website link on your bio. Is this link effective and up-to-date? This is a very important piece of real estate! Consider swapping the URL every now and then to promote your latest content or promotions with a link to the product page or maybe your latest blogpost. You want to grow your Instagram account ­– you have a great bio and your name is in order with the other social media channels. Yet, there is much more than can be done. In order to truly grow your account, it is necessary to post great content on a regular basis and be consistent with it. Being consistent in your content DOES NOT mean posting the same content many times over. It means creating a consistent and clear story to your audience. It is important to understand the concept of storytelling and your audience should be able to understand what you have to offer without having to tap on more than one or two posts. 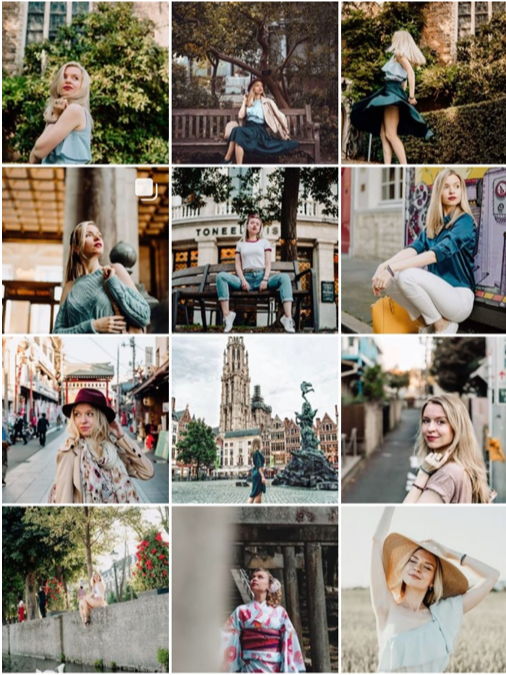 You do not need to dig deep into your Instagram feed as you can simply review what anyone can see for the first time they visit your profile: the last 9 posts! When you are scrolling through your feed, the posts should have a consistent colour palette or aesthetic. Depending on your brand, this could mean basically highlighting one colour or several similar colours. Do all your posts fall on either cool or warm side of the colour spectrum? Choosing a tone for your feed is a very effective way to have a consistent aesthetic in your feed no matter what you post. There are several charts that can help you visualize and understand different tones. Overall, warmer colours should have a yellow-ish undertone while cooler colours will look sort of blue. Using similar filters to all pictures is an easy way to make your Instagram aesthetics neat! Also, having an overarching theme that fits your profile is like a guide that will help you define all the content you create and will make it easier for you to decide what to post. - Based on the last 9 posts, is it obvious to understand what your profile is about? *PRO TIP: Optimising your content will do wonders for your engagement rate. Instagram recommends that all photos uploaded be at least 1080 pixels wide with an aspect ratio 1.91:1 and 4:5. - Are you testing different formats such as carousel posts, stories, boomerangs, and other features? Take this audit as an opportunity to explore new Instagram features. - Are any individual posts not performing well? Is it easy to identify why? Are there any individual posts performing very well? Pay attention to those signs in order to develop your new content. Is your content relevant to your audience? No matter how good your content looks or how on-brand it is, if it is not relevant to your audience, you will not be able to achieve your goals. Make sure your audience is on-board with your content. Once you determine which type of content performs well with your audience, it is really important to plan around it in the future. It is necessary to be continuously collecting photos and videos with the quality that we explained and posting them consistently at the right time on your Instagram account. There are several apps and tools available to plan and schedule your Instagram posts, so make good use of them. Engagement pretty much comes down to having a two-way conversation you’re your audience. They should feel like you care about them and that you actually listen to them. Being online does not necessarily mean that an audience will be attracted to your profile — be active! You need to spend a reasonable amount of time to determine whether your audience feels heard or not. This includes checking out older posts for new comments and your DM requests often. · Keep track of your most engaged and engage with them. You might not be a huge fan of hashtags, but they truly deserve your attention on Instagram. Usually, posts with at least one single hashtag have around 13% more engagement than posts without hashtags. It also means that they are a great way to help you grow your following, since you can be easily discovered through common hashtags. # Avoid using hashtags such as #follow4follow and #like4like, otherwise IG algorithm will understand you are not a real account. These could be driving awareness, driving traffic to your website, or simply getting more audience towards a specific topic. These goals may not be the same depending on the social channel you are using, but they should complement one another. Have this in mind before conducting your audit! After following these 6 steps, you will have completed your audit. Congrats! Now you are ready to take your Instagram account to the next level.